A Union minister told lawmakers on Monday that his ministry would spend more than 6.4 billion kyats ($4.8 million) to establish a social media monitoring apparatus. Hackers targeted several government websites this week, according to state media, apparently in retaliation for Burma’s treatment of the country’s Muslim minority, as international attention on the plight of the Rohingya in Arakan State intensifies. A new smartphone app gives users a glimpse into the daily struggles of Rohingya refugees who have fled political persecution in Burma. 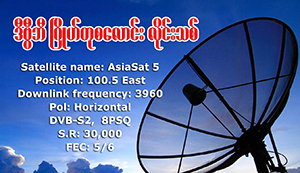 Burma on Thursday awarded its fourth and final telecoms licence to a joint venture between Vietnamese telecom company Viettel and two local firms, heating up competition in a rapidly growing market by adding a second majority-Burmese operator. The Solar Impulse 2 aircraft completed a historic flight, touching down in Hawaii on Friday after the most arduous leg of its journey. Experts have urged authorities to bring in new laws to govern the practices of e-commerce, as legal questions over online transactions arise.